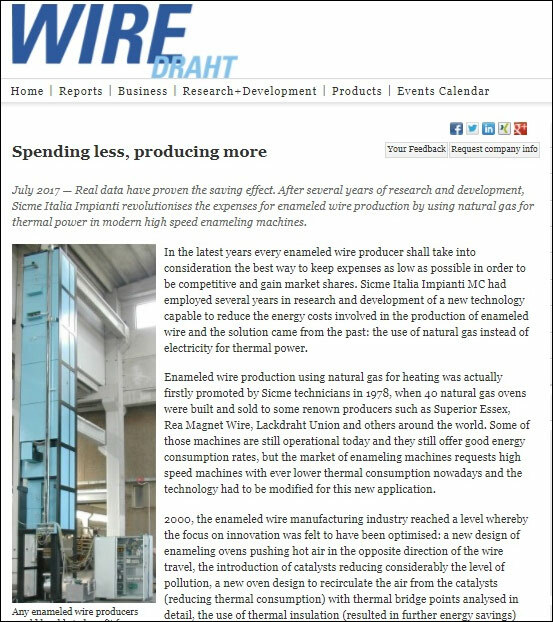 Producing more by SPENDING LESS? 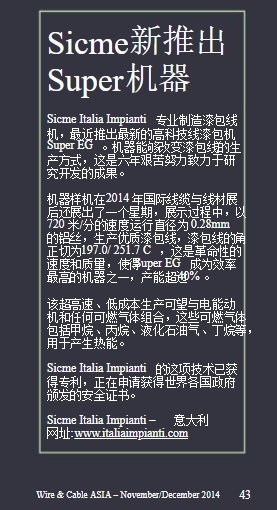 SICME ITALIAIMPIANTI MC modern enameling machine GAS VERSION is the SOLUTION. 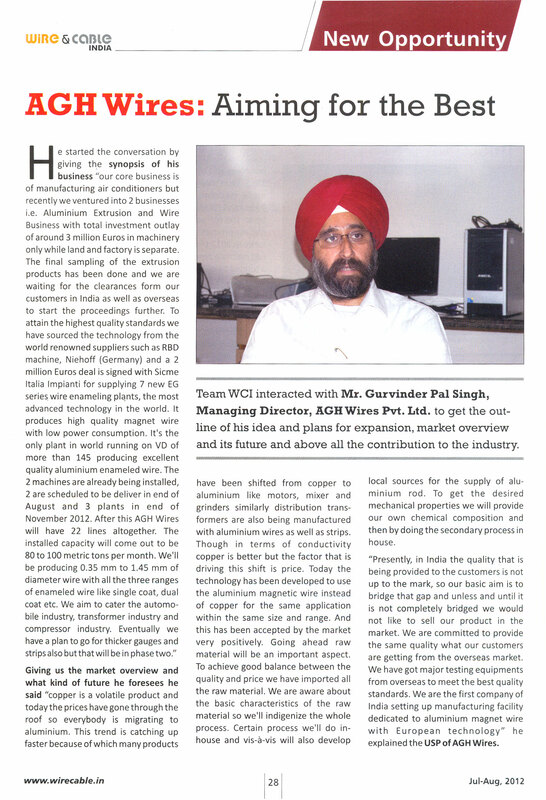 Wire Draht online Magazine dedicated an article to the topic. 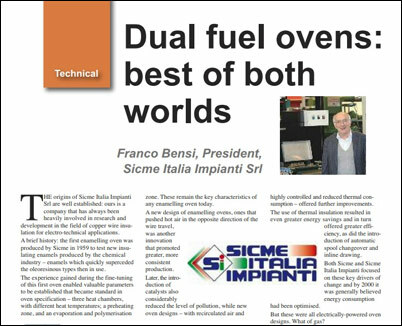 We are proud to announce that SICME Italia Impianti has been selected to receive the "H.W. 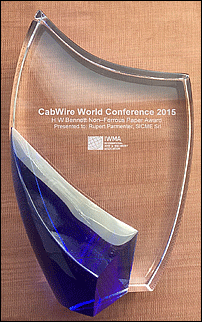 Bennett Non-Ferrous Paper Award" for the paper entitled "Revolutioning the wire manufacturing process" in 2016. 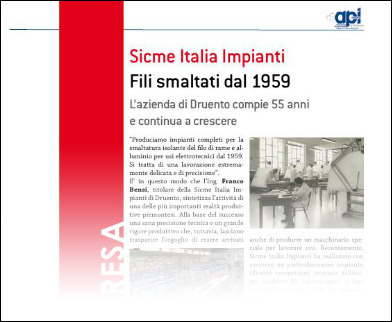 Api Impresa magazine - dedicated to the entrepreneurs of the economic, productive and financial field - awarded Sicme Italiaimpianti MC with the presentation on the front page and article at page n. 9. 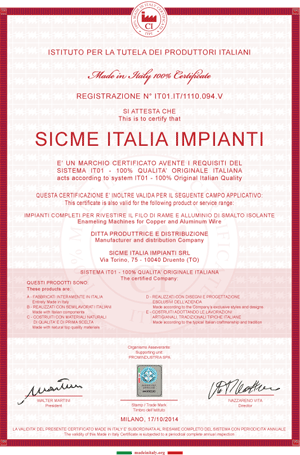 Sicme Italiaimpianti MC is proud to have 100% MADE IN ITALY CERTIFICATION. View our certificate as Adobe Portable Document Format (PDF) file (1.27 Mb). 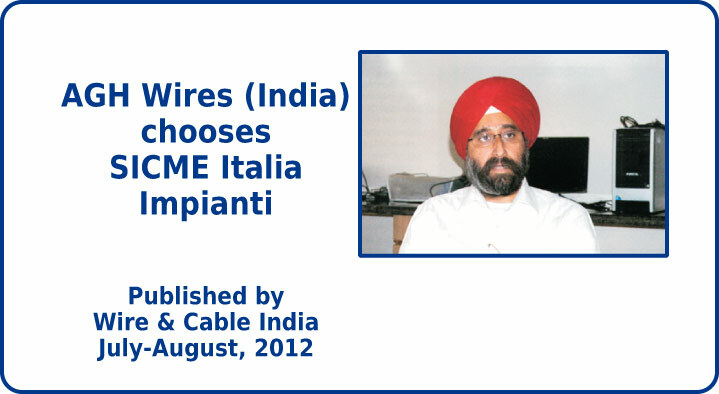 Wire & Cable India has published an article titled: "AGH Wires: Aiming for the Best" (July - August, 2012), where SICME Italiaimpianti MC S.r.l. 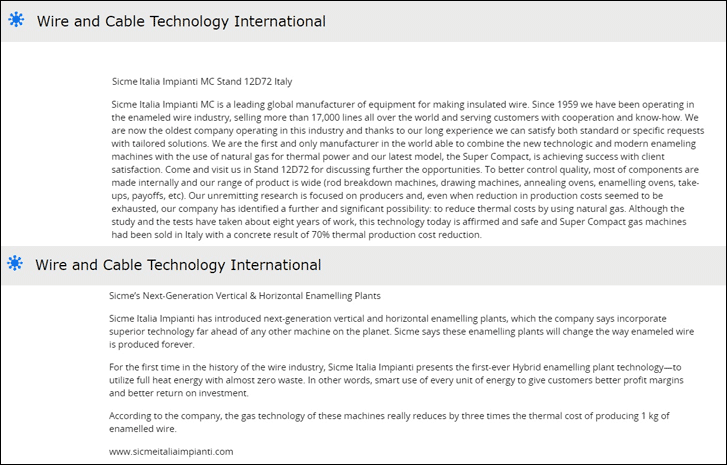 has been cited for having signed a 2 million Euros deal for supplying 7 new EG series wire enameling plants, the most advanced tecnology in the world. 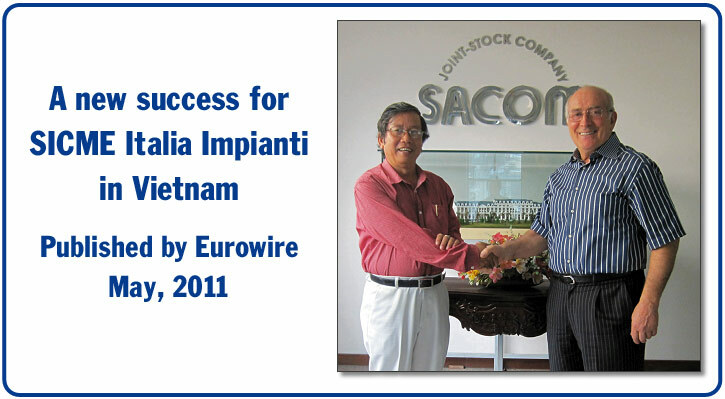 Eurowire has published an article titled: "The star of SICME ITALIAIMPIANTI keeps on shining in Vietnam" (May 2011). 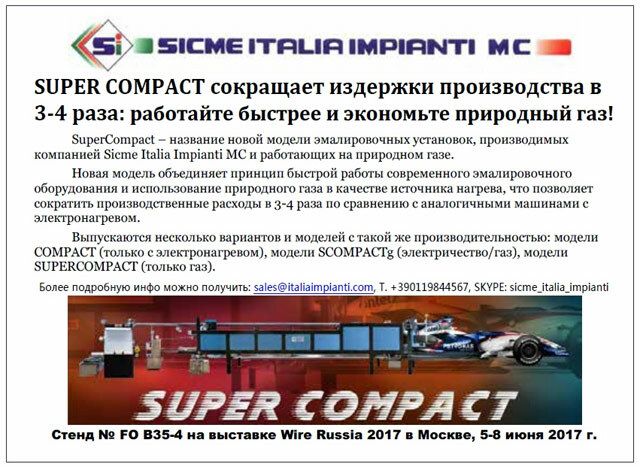 You can download it here (RAR, 3,3 Mb).